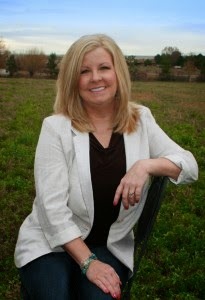 Candis Terry was born and raised near the sunny beaches of Southern California and now makes her home on an Idaho farm. She’s experienced life in such diverse ways as working in a Hollywood recording studio and chasing down wayward steers. Only one thing has remained the same: her passion for writing stories about relationships, the push-and-pull in the search for love, and the security one finds in their own happily-ever-after. Thank you, Candis, for taking the time out of your busy schedule to answer some questions for us. Thank you for having me here today to celebrate the release of SOMETHING SWEETER, the third book in my Sweet, Texas series! Outstanding questions, by the way. Oh, thank you. 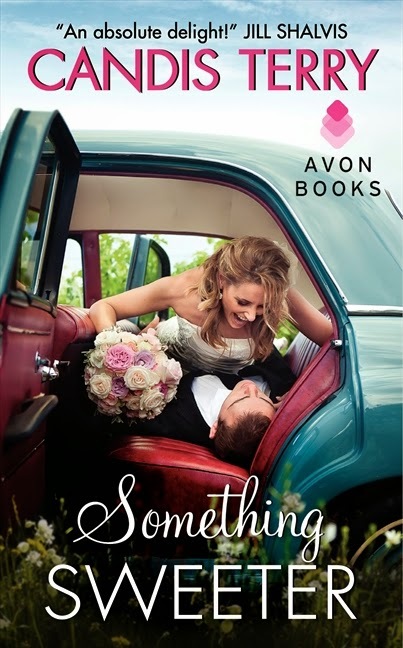 I noticed the cover for Something Sweeter was someone’s actual wedding photo. I was surprised to hear that. It was such an unusual pose. Is there, by chance, a story behind it? Did someone take the photo while the couple was unaware? I love the look of joy on the bride’s face. Yes, it is an actual wedding photo! And I wish I knew the circumstances behind the pose. With each book my publisher asks if I have any ideas for the cover image. I’d seen this photo on the internet somewhere and to me it completely depicted the fun and atmosphere of Something Sweeter. So I sent it to my editor and said, “This is it!” To my complete surprise the art director at Avon was able to get permission from award-winning South African photographer Greg Lumley and the couple in the photo. I hope all the readers will love it as much as I do. I chuckled to myself that you included a handful of cheesy pick-up lines in Something Sweeter. I once tried to find books that incorporated pick-up lines in them and was surprised to find this wasn’t something many authors used in their stories. They’re usually so funny. So fess up, were any of those used on you or someone you know? Has anyone ever used a corny pick-up line on you and, if so, were any memorable? I have to admit that I’m married to a punster and he always comes up with these crazy lines. So he was a total inspiration. And then there was the time a friend of mine back in the day and I went to Las Vegas. We were both 21 years old, tall, blond, dressed to kill, and looking for a classic Vegas show to see. We got to the Flamingo and planned to see Englebert Humperdinck. Only he was ill so they cancelled the show. My friend and I were standing near the slot machines trying to figure out who else we could go see and these two guys in cowboy hats come up to us, flipping their gambling chips. One of them said, “We got all this money and no one to spend it on. You girls interested?” I looked at the handful of chips he was so proudly flaunting and saw they were all $5 markers. So my comeback was, “Sorry, honey, I don’t think you can afford us.” Yeah. That really happened. LOL. You don’t only love writing romance, you like reading it. What do you love most about a good romance? Do you try to incorporate that into your own books? 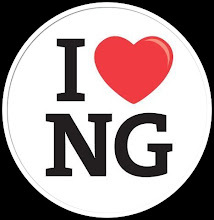 I am passionate about reading romance! What I love most is the emotion the stories pull from me. You know, those heart-pounding moments when you think the hero and heroine are never going to get together. Or those laugh out loud moments. Or the moments that bring back a memory from your own life and you feel that funny tickle in the center of your heart. Honestly, I have to feel those things while I’m writing too. Because if I don’t feel them, my readers never will. And pleasing my readers is of the utmost importance to me! You tend to include many elements in your romances. They’re sweet, funny, and hot all at the same time. Besides the two main characters of your romances having a good chemistry, what do you feel is/are the most important element(s) to include in a romance? I think, even in a paranormal, that there has to be an element of reality. Couples don’t banter or bicker all the time. They aren’t making love every hour of every day. They deal with situations that must be very close to something the person reading them could actually experience. 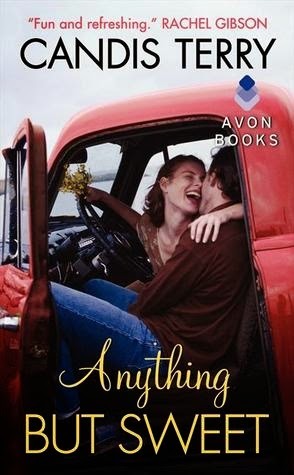 In Something Sweeter, Allison has a real problem believing that happily ever after exists. She has good reason not to believe. And when she has a conversation about this with her father, it brought back some memories for me that made it a very difficult scene to write. I know I can’t be the only one out there who might have a similar response. Hopefully the reader can understand the depth of the effect the situation might have on a person. In a relationship–if its going to last–both characters must have the compassion, or at least the understanding, of what that made the person who they are today. And they must accept that–not try to change it–in order to be a good partner. That’s what I try to bring to the table with my characters–that speck of reality and the knowledge that yes, once the book is done, this hero and heroine will definitely live happily ever after. No matter what obstacles life throws in their path. In a way, writing and acting are two sides of the same coin and usually go hand-in-hand. Your bio states your college drama teacher encouraged you to develop the” A+ character bio” you’d created into a complete story. Is a character bio something everyone creates for a role/character or acting in general? What exactly is it and what does it entail? While the character bio may have set the groundwork for your writing, do you feel any other acting skills you acquired have helped you with your writing? Well, my drama teacher basically said my acting sucked and that I should stick to the writing so . . . In the incident you’re referring to I had to create the entire life of the character I was given. In the play she was a 35-year-old divorcee. I had to create her entire childhood, adolescence, and young adulthood, up to the part in which the play took place. It was great practice for getting to know a character. Do I do this with each and every character I write? Sort of. For myself, I need to see that character as a child and also as a senior citizen. If I can’t picture the hero and heroine kissing when they’re 80 years old, then I can’t picture them together forever. However a lot of pieces of the character’s puzzle are revealed as the story takes life. In Something Sweeter there’s a scene where Jesse reveals something to his brother Reno that I honestly didn’t see coming. But as I wrote the scene, I could visualize the scene as Jesse described it. Drama classes did help me learn how to “visualize.” In that sense I can actually see the story in my head like a movie. I see body movement, gestures, expressions, and scenery, even weather. In the past, while this may have been created for actors on a movie set, many movies are now being made with a ‘green screen’ and the actors must “visualize” the setting, weather, atmosphere, etc. So in that sense, I guess Sandra Bullock and I have something in common. Even though you didn’t go on to earn fame and fortune as an actress, do you find writing equally as fulfilling? Ha! I would have been awesome in the horrible Ed Woods B movies! Actually, I never really wanted to be an actress. I was a singer and thought drama training might bring something to the music. Obviously I’m no Carrie Underwood either. But I’m one of those who believes that everything happens for a reason. The drama classes gave me something I would be able to use many years later in my writing. Telling stories is not only what I do; it’s who I am. If I couldn’t write I would be a very sad, unfulfilled person. You’ve had quite an interesting life. You grew up in California, worked for a Hollywood recording studio, worked in graphic design, designed costumes for 80’s heavy metal bands and then ended up settling down on a farm in Idaho. Do you use any of your life experiences in your books? If so, can you give us an example? All the time. There is never anything about me in my characters, but you can find tidbits of my life all over my work. For instance, in my Sugar Shack novel, Somebody Like You, James Harley shows up to take Kelly Silverthorne on a date and he’s driving a yellow ATV. My husband has a yellow ATV that we use to see a lot of the beautiful places I describe in my work. In Any Given Christmas, Dean Silverthorne takes Emma Hart for a ride on a snowmobile. I am like Mad Max on a snowmobile. In Sweetest Mistake, Jackson Wilder has a horse called ‘Ranger the most stubborn horse in the world.’ Yep. I owned Ranger. You just never know what will show up in a book that has something to do with my life. However, I’ve yet to experience making love in a tree house. Just sayin’. *grin* Inspiration can strike a person at any time. If you’re like me, if you don’t write it down immediately, there’s a chance you’ll forget. So I’m curious, where was the strangest place or when was the strangest time inspiration struck and how did you handle it? Getting ready for sinus surgery. Just before they stuck the happy juice needle in my arm I told the anesthesiologist to “Quick! Get me my purse. I have to write down an idea!” Yeah, I got the craziest look for my efforts. And sadly, I lost the idea under the affects of the anesthesia. That is sad. When you write a romance, what do you hope your readers will take away from your story? Satisfaction. I read a lot of books. A lot. And very often I’m just not feeling the passion or the emotion I’m personally looking for in a romance. Sometimes I feel like the author has just gone into auto mode. I hope my readers will close my books with the satisfaction that they got all the emotion and passion they were looking for when they opened the book to that very first page. Please fill in the blanks…You will always find _____ in one of my books. You will never find ____________ in one of my stories. You will always find HEART in one of my books. You will never find EMPTY PROMISES in one of my stories. What do you think is the most romantic thing one individual can do for another? Have compassion. Genuinely caring about the other person’s feelings, wants, and needs. To me there’s nothing more romantic than when a man knows his woman has had a tough day and he pulls her into his arms for a genuine embrace. Then without asking “What should I make for dinner?” goes in and throws together her favorite meal, and finishes it up with a bowl of ice cream even if she’s watching her weight because he thinks she’s beautiful no matter how her jeans fit. Once again, Candis, thank you for taking the time to answer the above questions. I enjoyed reading your answers. Thanks for the blurb for each of Candis' books. And, loved the Q and A.
Reno the Rancher, pretty please.